CompreFLEX BK (formerly BiaCare) is easier to use than high compression stockings because it slides on and wraps around the leg. Soft, yet durable Breath-O-Prene fabric is Latex-free. It is easily worn under most clothing . The garment is comfortable and highly adjustable. Optional strap extenders are available for larger limbs. The CompreFLEX BKcomes with a Compreboot compression foot piece and Basic Liner. ). 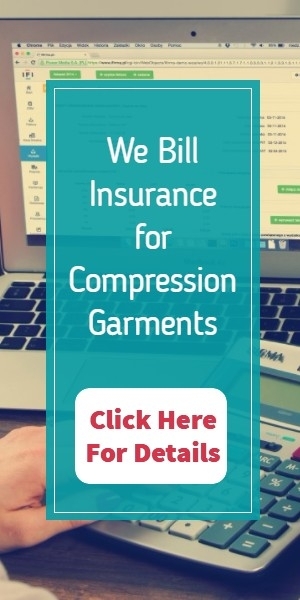 Combined with the CompreFlex TC to provide a full leg compression solution. INCLUDES: Set of ACCUTAB® devices to easily and accurately set compression. PAIR OF BASIC LINERS (Ionized silver technology prevents bacterial growth in the non-compressive liner. Accommodates calves up to 64cm drirelease technology to wick moisture and prevent odor. Soft, cushioned heel and toe with flat seams. Available in Heathered Silver.